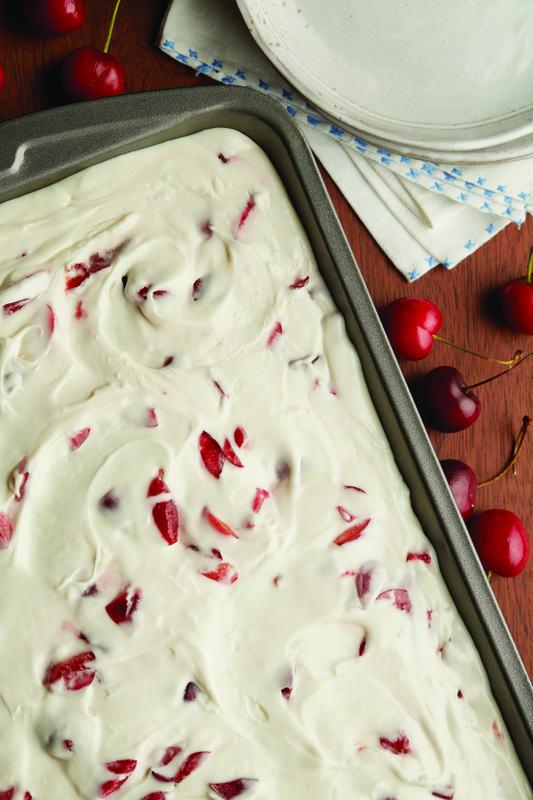 Spring is a season of celebrations, and today we’re sharing the perfect cake for a gathering with family or friends. This Chocolate Cherry Cola Cake from Oh Gussie! by Kimberly Schlapman is a twist on a classic recipe. We can’t get enough of the flavorful spicy cake and the sweet vanilla frosting – perfect for a Mother’s Day celebration or a birthday! Oh Gussie! is a down-home Southern cookbook by one of the founding members of the platinum-selling country music band Little Big Town and star of the popular cable show Kimberly’s Simply Southern. 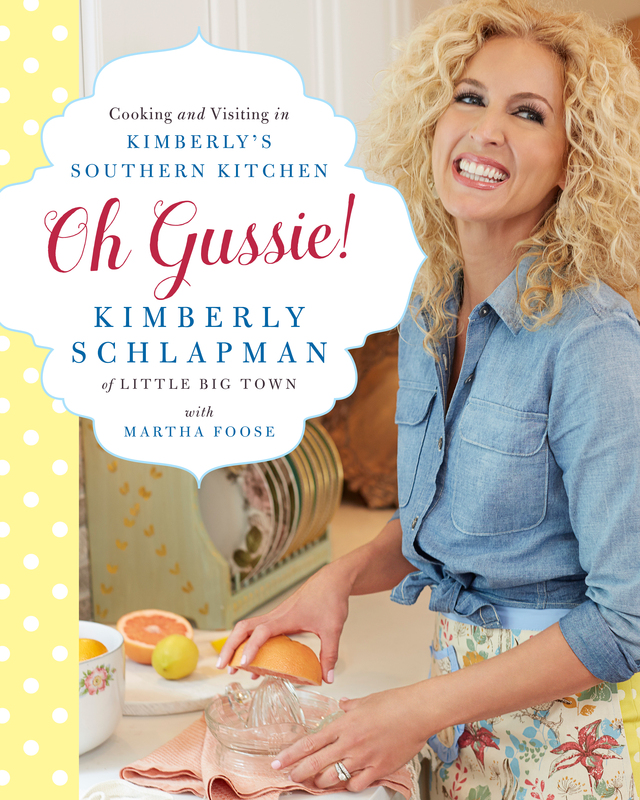 In Oh Gussie!, Kimberly shares soul-pleasing recipes and soul-stirring stories from her roots in the Appalachian foothills of north Georgia, her travels on tour with the band, and from the life she loves back home in country music’s capital. Purchase a copy from your favorite retailer. I love to celebrate birthdays with the crew and my bandmates. When we’re on the road, it’s nice to have the band family celebrate. Jimi’s birthday falls at the end of October, and I sometimes make this silly chocolate cherry cola cake for him, decorating the top with chocolate cherry cordials or gummy candies. I always let him choose what he’s got a hankering for, and it’s often this. 1. Make the cake: Preheat the oven to 350˚F. Grease a 9 x 13-inch cake pan.